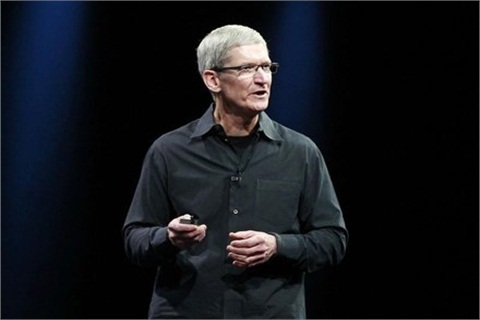 Apple CEO Tim Cook speaks at the annual Apple Worldwide Developers Conference. Nine motor companies will install Apple’s new “Eyes Free” technology into future vehicles. The announcement was made at Apple’s annual Worldwide Developers Conference in San Francisco this week, and a day after Apple announced that Siri will serve as the platform its new “Eyes Free” in-car technology. GM, Toyota, Honda, Chrysler, BMW, Audi, Mercedes-Benz, Jaguar and Land Rover have each committed to install the voice-activated system in their vehicle, with models and dates to be determined. The announcements come just days after U.S. Transportation Secretary Ray LaHood issued a new guide titled, “Blueprint for Ending Distracted Driving.” LaHood has been after automakers to limit technologies that distract drivers. Earlier this year, he suggested that prohibitions be put in place to limit in-car technologies, but has since backed off of those statements but is urging automakers to voluntarily limit distractions inside their vehicles.